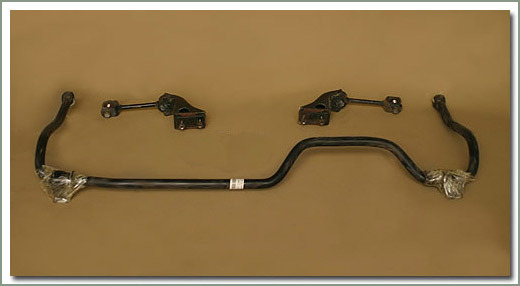 Use this kit it you have lifted suspension on your 60/62 series. 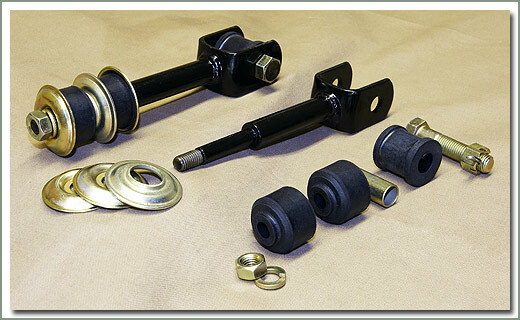 This Rear Stabilizer Link Kit includes #104-02 rear stabilizer struts, #104-03 rear strut bushings, #104-04 strut bolts, and #104-06 rear stabilizer sleeves. 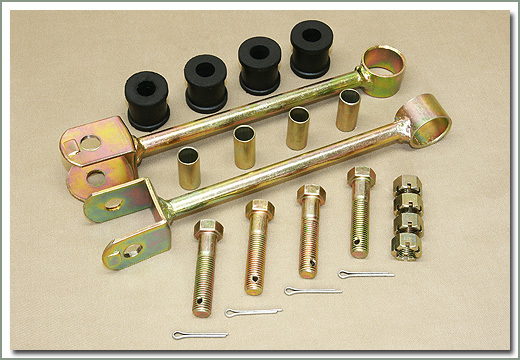 For front link kit with lift see #102-600-L. One kit does both sides. 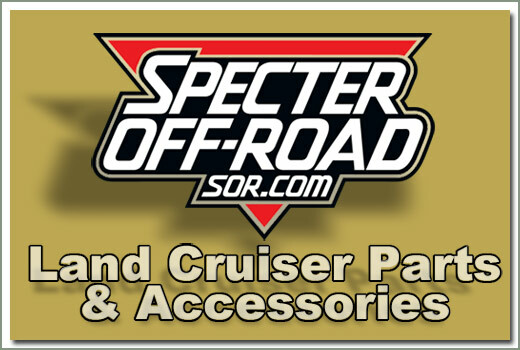 SOR offers this kit to fit some 60 & all 62 Series wagons. 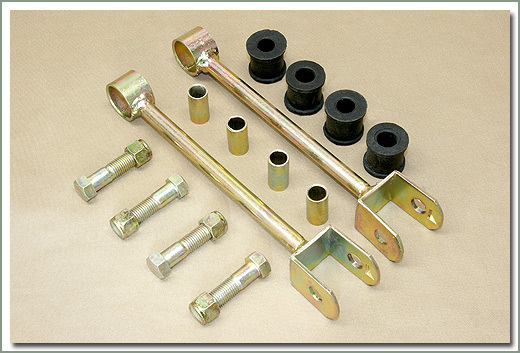 This kit comes complete with the frame & axle brackets, end links, sway bar and hardware. 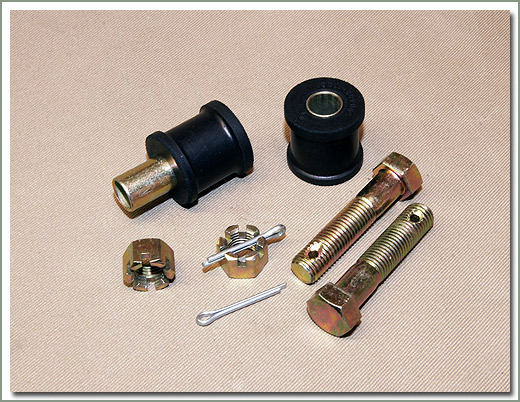 All parts are good condition used. 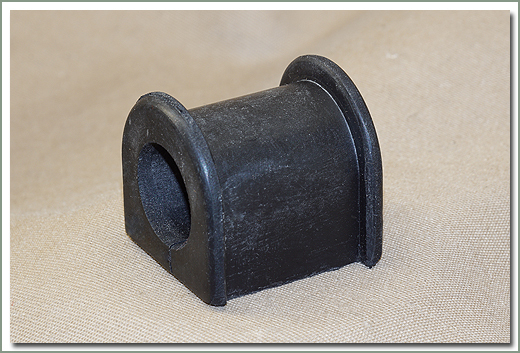 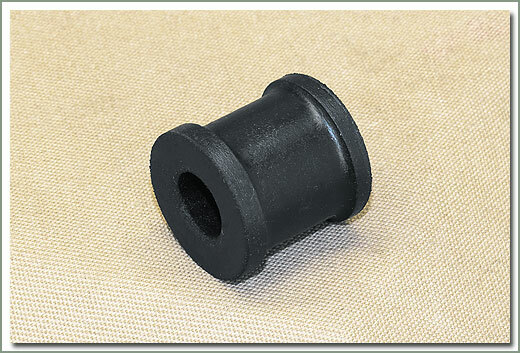 Order new bushing, parts #104-01 and #104-03 separately. 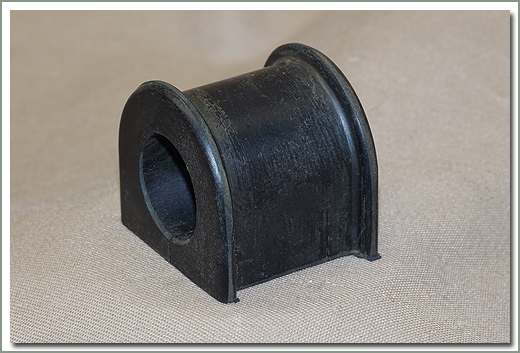 Some early 60 series rear axles do not have the mount for the sway bar bushing and bracket. To determine if your axle can mount these parts, you will need to look at the rear portion of your rear axle. 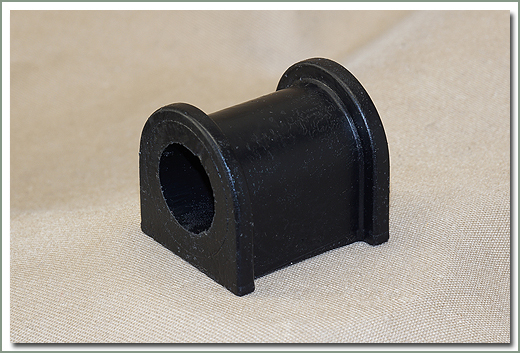 You are looking for the mounting area for part number 104-10. 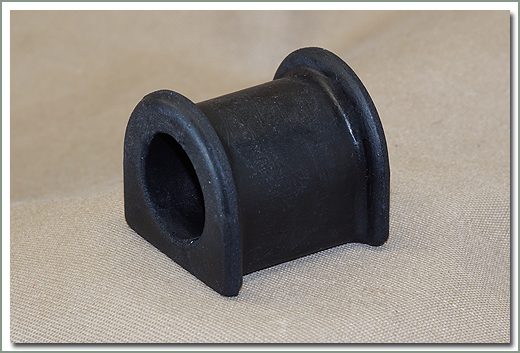 This mount is a threaded hole and a square hole on each end of the axle housing near the spring mount. 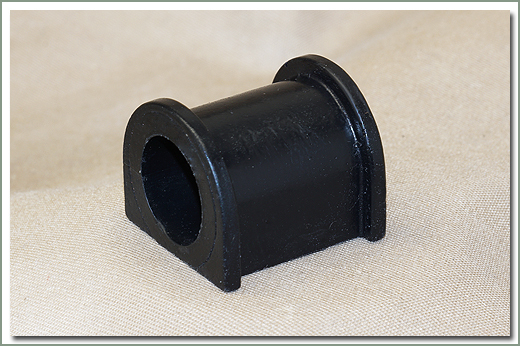 If you have these holes you can add this sway bar kit to your vehicle.